Taking care of a parent can be a full-time job. Children may have to give up paying jobs in order to provide care to aging parents. Unfortunately, caregiving is usually unpaid work. Parents who want to compensate a child who takes on the burden of caregiving may do so in one of several ways. Caregiver Agreements. Caregiver agreements are an increasingly popular way to ensure a caregiver child is compensated for the child's work. A caregiver agreement (also called a personal care contract) is a contract between a parent and a child (or other family member) in which the parent agrees to reimburse the child for caring for the parent. These agreements have many benefits. They provide a way to reward the family member doing the work. They can help alleviate tension between family members by making sure caregiving is fairly compensated. In addition, they can be a be a key part of Medicaid planning, helping to spend down savings so that the parent might more easily be able to qualify for Medicaid long-term care coverage, if necessary. 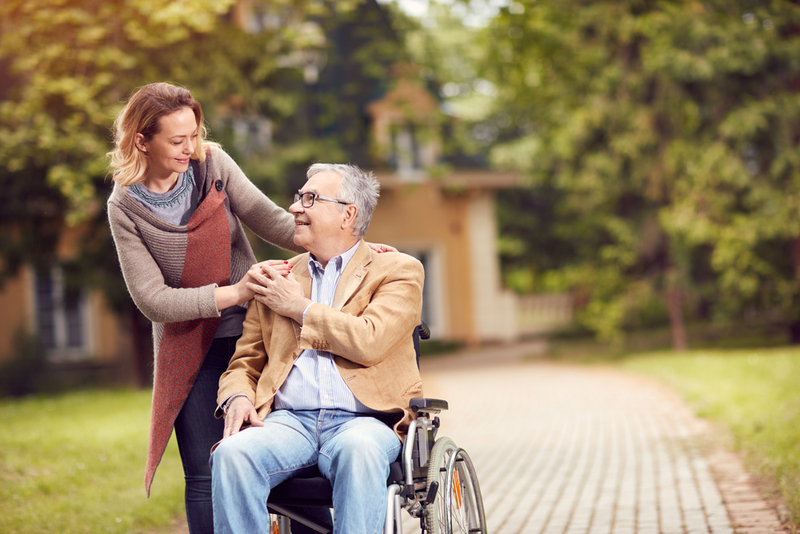 The downside to caregiver agreements is that the income is taxable. Note that such agreements should not be drawn up without the help of your attorney. Estate Plan. A parent can leave a caregiver child an additional amount in the parent's will or trust. The problem with this method of compensation is that it can lead to conflict between siblings or other family members. If a parent chooses to go this route, it is important that the parent explain his or her reasoning to any other children or family members that might be upset. Communication between the family members can prevent problems later. In addition, to avoid any appearance of undue influence, the parent should not involve the child in drafting the estate plan. House. If a parent doesn't have cash to compensate a child, the parent may transfer the parent's house to the caregiver child. The parent can transfer the house outright and retain a life estate for him- or herself or the parent could make the child a co-owner of the house. If the caregiver child has lived with the parent for at least two years, transferring a house can have Medicaid planning advantages as well. However, transferring a house can have serious tax and other consequences, so before taking this step it is important to consult with an elder law attorney. Life Insurance Policy. Another option for compensating a caregiver is to take out a life insurance policy in the child's name. The benefit of this method is that the life insurance policy will go directly to the child, avoiding probate, but the problem is the life insurance policy could be very expensive. Your attorney can help determine the right method to compensate a caregiver family member.